Krtin Nithiyanandam, the 15-year old Indian origin boy of Epsom, Surrey, has submitted his test to the Google Science Fair Prize; a pathway to diagnose Alzheimer’s disease before symptoms start to show by focusing on pathophysiological changes. His submission is an antibody which can penetrate the brain and attach to neurotoxic proteins which are present in the very first stages of the disease. This treatment can help an early diagnosis of the Alzheimer’s, almost 10 years before a patient actually gets affected by the neuro disorder. It can help in an early detection and is also likely to stop its progression. The antibodies, which would be injected into the bloodstream, are also attached to fluorescent particles which can then be picked up on a brain scan. Kritin’s proposal has made it to the final of the Google Science Fair. Post his clearance on the project, he is entitled to a scholarship and can further mentor his brainchild. Neurodegenerative disease like dementia are hard to diagnose and treat because of the blood-brain barrier. Krtin’s antibodies can pass through the barrier. 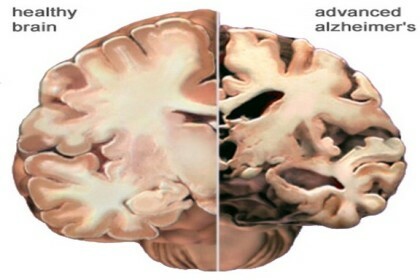 Lab tests even showed that they ‘handcuff’ the toxic proteins, stopping them from developing further which could potentially stop Alzhiemer’s in its tracks. “Some of my new preliminary research has suggested that my diagnostic probe could simultaneously have therapeutic potential as well as diagnostic,” said Krtin who attends Sutton Grammar School. Krtin moved to Britain from India with his family when he was a baby. He suffered from hearing problems as a child and wants to study medicine when he leaves school. “I have personally seen what a difference it can make to people’s lives and I want to make a difference to the lives of others,” he said.